If you’re sitting there at home right now, trying to figure out what you should have for dinner tonight, let me make a suggestion. 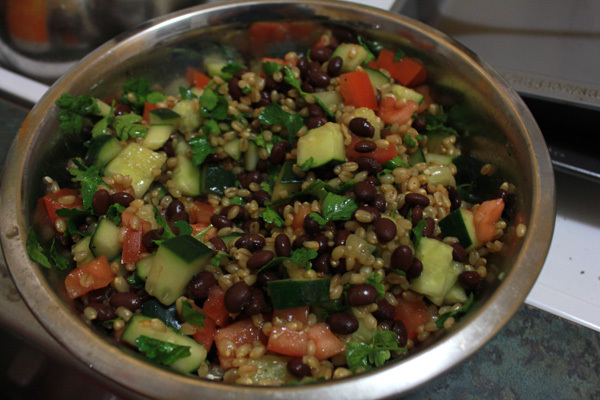 Last night for dinner I made a variation of Angela’s recipe for “Back on Track Wheat Berry and Bean Salad“. Now if you’ve never had a wheatberry, don’t be scared. They’re chewy and delicious. Especially in salads! I didn’t soak mine, but just did like Kath and simmered them until I was satisfied. I think it was around 30-40 minutes. 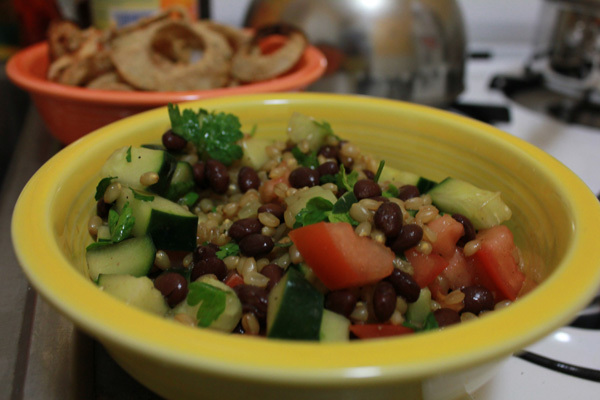 I omitted the bell pepper from the salad (didn’t have one) and used black beans. This salad was great and really easy to prepare. I highly recommend it. 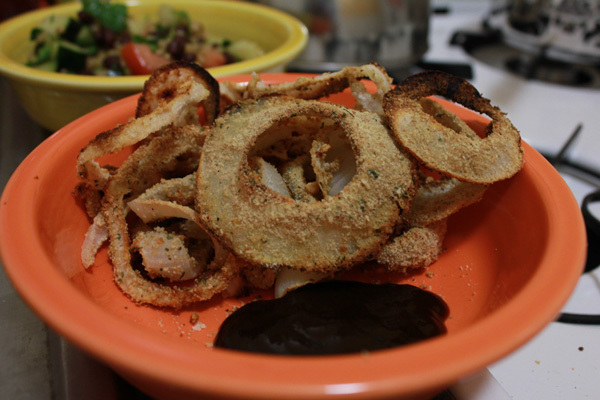 I had the salad with baked onion rings. Simply slice an onion, pull apart the rings, coat in egg whites (or whole eggs, whatever your pleasure), coat in the bread crumbs of your choice and bake for about 30 minutes. I think I baked at 350 F. They are most excellent when dipped in BBQ sauce. Ever had wheatberries? What are your thoughts?